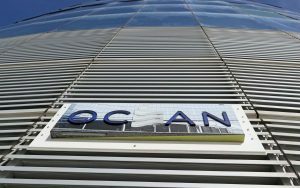 The owner of Ocean Resort Casino, one of the two casino resorts that opened doors in Atlantic City this past summer, seems to have landed in hot water as a former partner at the property’s HQ2 club is suing him for fraud and other wrongdoings. 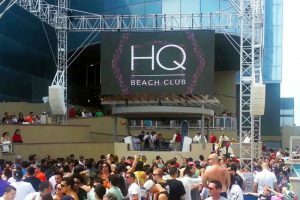 In court papers filed December 6 with the New York County Supreme Court, Joseph Morrissey claimed that he was ousted from his ownership of the beach- and nightclub after confronting Ocean owner Bruce Deifik over sexual harassment allegations made by HQ2 salon employees. Mr. Morrissey, one of the major nightlife scene players around the United States, was approached by Mr. Deifik this past spring to assist in raising $10 million for Ocean’s renovation. Mr. Deifik bought the property early this year from its former owner, Florida developer Glenn Straub, for around $200 million. Mr. Morrissey was offered a yearly salary of $200,000 and 30% of the club’s profits. In addition, he would have received 49% of the proceeds of a potential sale of HQ2. Court papers further read that Mr. Deifik entered in early June a mezzanine loan agreement with JP Morgan as the lender, but Mr. Morrissey’s contract was not listed in that agreement. In the lawsuit, Mr. Morrissey said that his relationship with Mr. Deifik began to sour after the former confronted the casino owner in relation to sexual harassment claims made by club employees. She recorded her visit to the presidential suite on her mobile phone and showed Mr. Morrissey the video to validate her fears. She said she and her co-workers “felt obligated to drink and socialize with [Mr. Deifik] in order to be hired” at the club. Mr. Morrissey confronted Mr. Deifik, saying that he made employees feel uncomfortable. To that, the casino boss responded by saying that this was his casino and he could bring to his room whoever he wanted. According to court papers, Mr. Deifik was seeking to terminate Mr. Morrissey contract because he did not disclose that contract and the latter’s ownership interest in the nightclub in the loan agreement. Mr. Morrissey said that “upon information and belief”, Mr. Deifik is seeking to sell Ocean Resort Casino and is trying to eliminate anyone with ownership interest who could thwart a potential sale of the property. The plaintiff is seeking no less than $10 million for all counts and causes of action listed in his lawsuit.